Youtube addicts happy news for you,Youtube just redesigned their mobile app and power up it with some more new awesome features.Yes through their official blog,Youtube announced their major changes in the latest update.The update is now available on Android, mobile web, and on iOS platforms. Since half of all YouTube views take place on mobile devices,so this time Youtube just prioritized their mobile app and bring you an even better mobile experience and making it easier than ever to find videos you love and create them, too. Youtube redesigned their interface and now it became more simple,clean,elegant red beast. Earlier it iwas overcrowded slide-out menu with a total of 17 different places you could navigate. Now there are just three tabs. Home: Easily explore and discover videos you’ll love with recommendations based on your watch history as well as playlists personalized just for you. 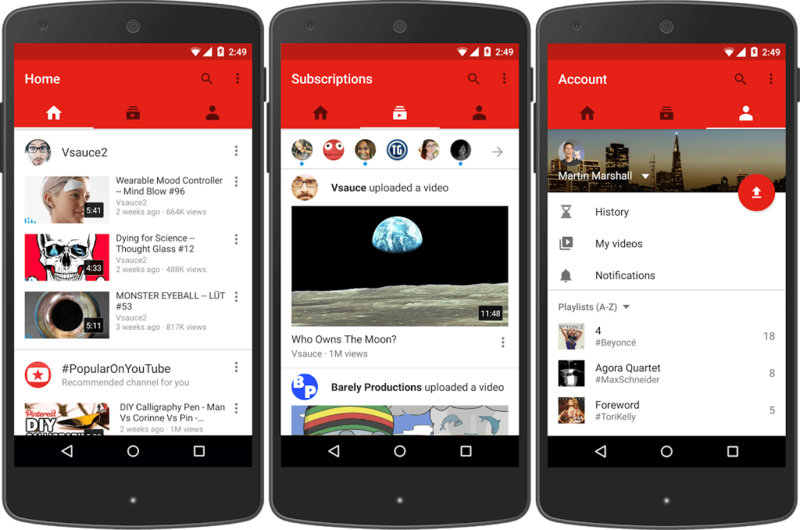 Subscriptions: Find the latest videos from your favorite channels and creators on the new Subscriptions tab. And to help make sure you never miss an upload, you can now tap the bell icon on the channels you love to get a notification as soon as a new video is posted. Account: Check out your playlists, watch history, and the videos you’ve uploaded all in one spot. YouTube isn’t just about enjoying videos; it’s a place to express yourself and show the world what you love. 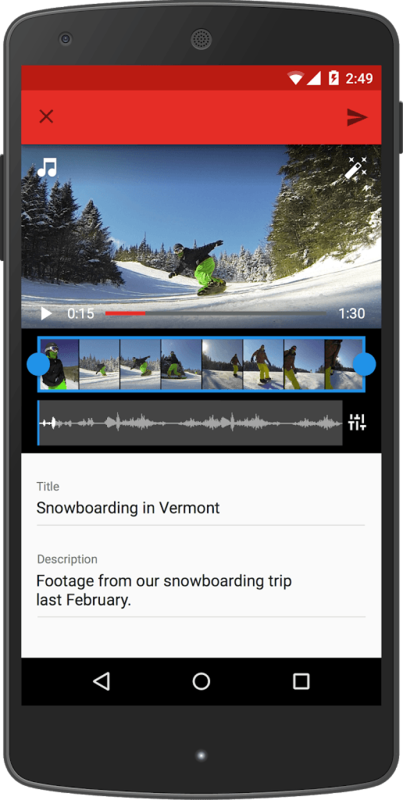 With the redesigned app you can take your creativity to new levels using a new set of video creation tools. You’ve got an amazing camera in your phone or tablet, and now you can trim your footage, tint the image with filters, add music, and upload – all inside the app.The upload button is easier to see. 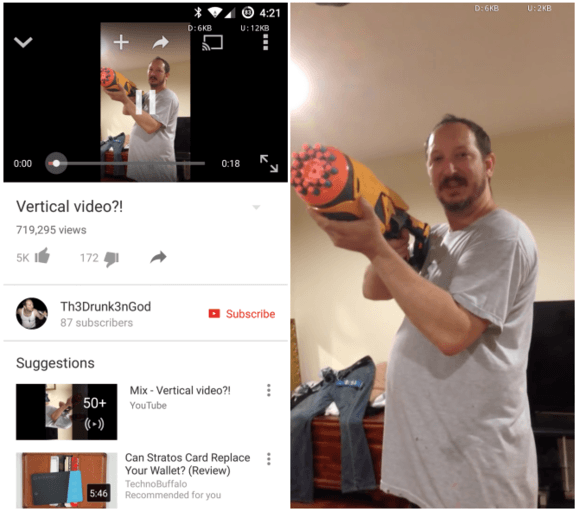 The latest update to the YouTube Android app now expands vertical videos to fill the phone or tablet’s display (pictured). It improves the experience of watching such an incorrectly-filmed video, eliminating any visual interference.